SalesProcess360 is focused on bringing value to the Industrial sales market. With our CRM utilization review process we help you determine where the ROI is and how to get there. We believe it is about the processes not just about the technology. 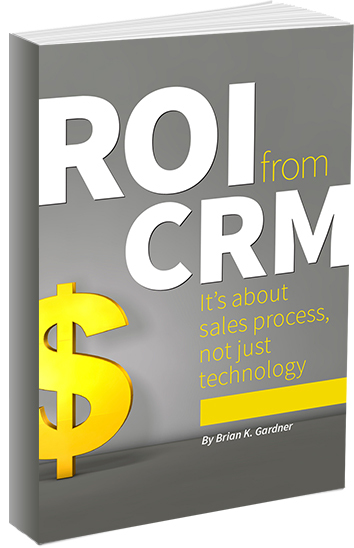 Over the past 15 years of helping companies implement CRM systems, the common denominator for success is when the company embraces CRM as a sales team solution with processes and not just look at CRM as software/technology. If you have an existing CRM system or looking at implementing one our utilization review can help you navigate thru the obstacles and hurdles that are out there. We will start with a questionnaire that gives us the starting point and after a review call will quickly map out the areas of focus. This is not a long drawn out process and typically the direction and focus becomes clear after the questionnaire and review call. If you would like to learn more about this offering and how we could possible bring value to your team please give us a call.